Ron Newman of Lanesville takes his T-bucket hot rod out of the garage to check things out in preparation for the warm season. 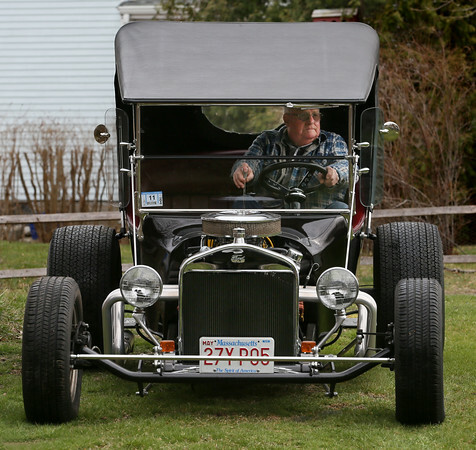 Newman, 78, assembled the car himself with the body of a 1923 Ford Model T and a 1962 Chevrolet V8 engine. In the summer he enjoys taking it for rides with his wife and exhibiting it at car shows.